When creating a website to showcase the work of designers, the services of design agencies and other creative professionals, a purpose-built theme will be more effective and aesthetically pleasing than generic themes for professionals. Talented premium WordPress theme developers have designed stunning, modern and Responsive WordPress Themes to help bring designers the exposure that they need.We have collected a list of such templates. Every WordPress theme for designers in the list below is responsive and created with attention to detail. Interior Furniture Store is a responsive, professional theme built on the powerful Bootstrapped Cherry Framework, with a clean design enhanced by parallax scrolling, the lazy load effect, and HTML plus JS animation. It includes support for up to 10 custom sliders, scalable font icons, auto-updater, contact form, WPML, and widget-readiness. Online chat helps you clear customer queries ASAP, and multiple page templates make set up quick. 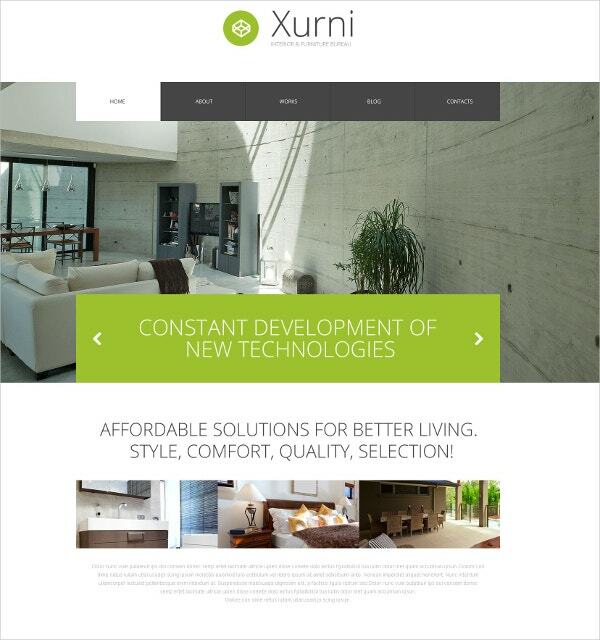 You may also see Interior Design WordPress Templates. 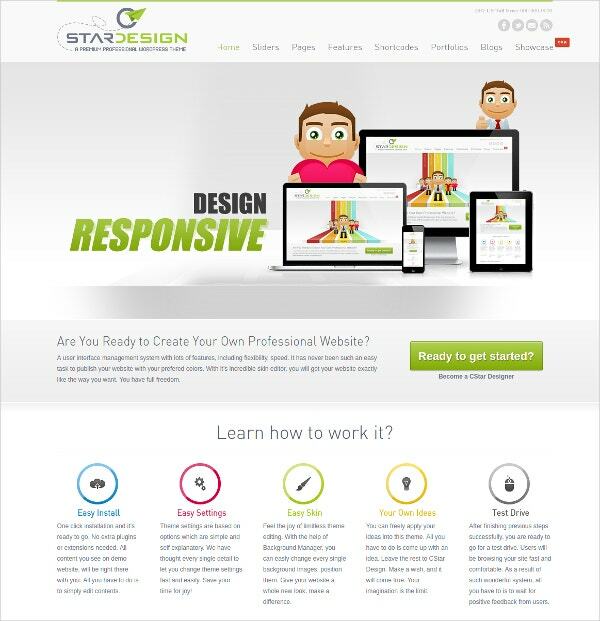 Cstar Design gives you plenty of flexibility to build and customize a mobile-friendly theme. Features include 6 sliders with different editors, blog and portfolio homepage and shortcodes, shortcode generator, 6 background editors, custom page headers, over 500 Google Fonts or custom @fontface, color picker, TimThumb image resizer, Google Analytics support, Ajax contact form, re-CAPTCHA and more. 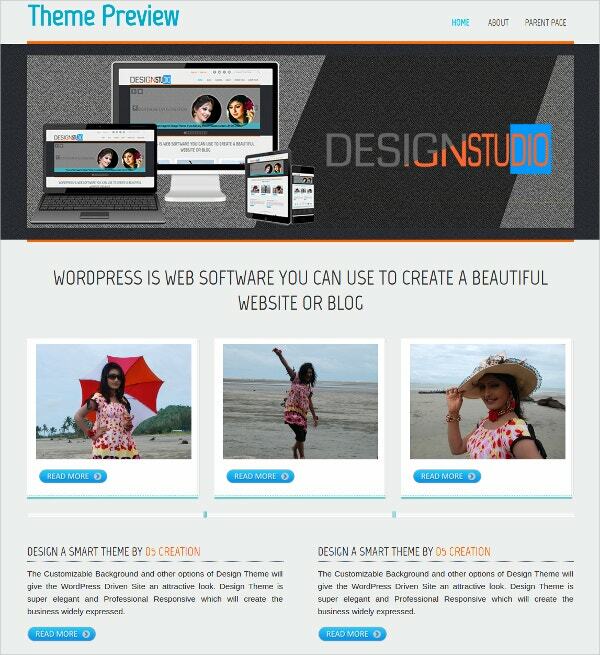 You can also see Graphic Designer WordPress Templates. 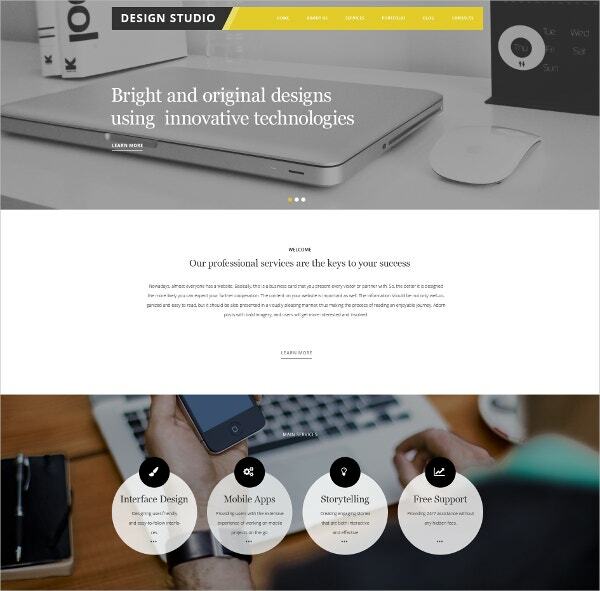 Design Studio is a contemporary and light, boxed or full-width 2050px theme with parallax, built on Cherry Framework 4. It comes with the MotoPress Editor and Slider, admin panel, contact form, newsletter subscription, carousel, accordion and slider gallery scripts and several page templates to get you started. It is built using HTML5 and CSS3. 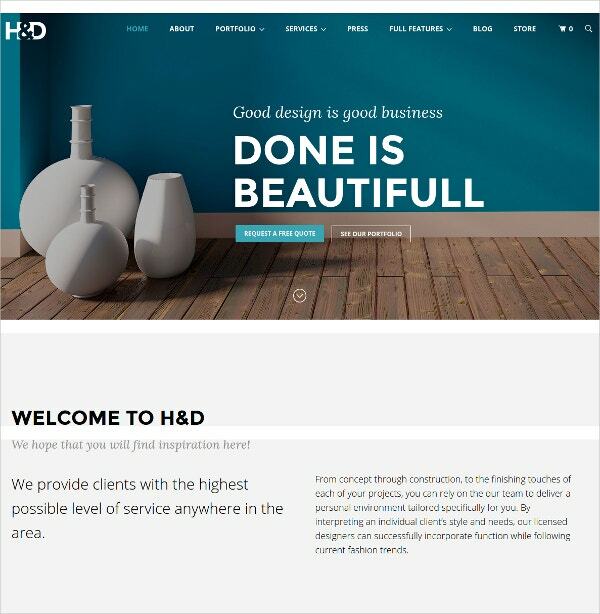 The beautiful H&D theme is designed keeping interior design companies in mind. It gives you a bundle of premium plugins like Visual Composer, Slider Revolution, and Essential Grid. Features include one-click installer and update, WooCommerce integration, custom post formats, mega menu, Google mobile friendly and responsive, RTL support and translation ready, advanced blog icons, retina icons and more. Web Design blends elegant light layouts with trendy color-coded page tabs for a responsive and viewer-friendly theme. It is built on the Cherry Framework 3 with Bootstrap for easy scaling. Features include parallax scrolling, SEO, slider, widget-ready, Google fonts, Google Map API, contact form, WPML, online chat, shortcodes, sidebars and more. Multiple pages including portfolio, testimonials, FAQ etc. will get you started quickly. 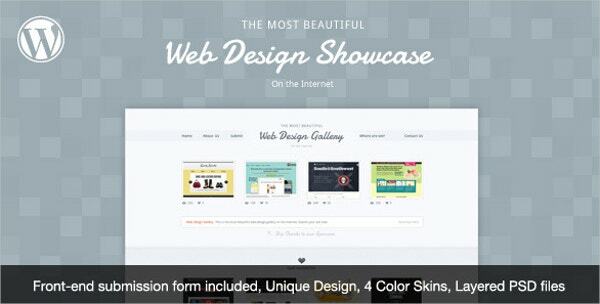 Web Design Showcase is a unique light theme with simple front-end submission forms, contact form, color palette generator, rating system, shortcodes, four color styles, gallery, fully layered PSD files and more. The developers don’t offer support but the fixed-layout theme is well-documented and comes with the necessary CSS files, PHP files, and JS files. 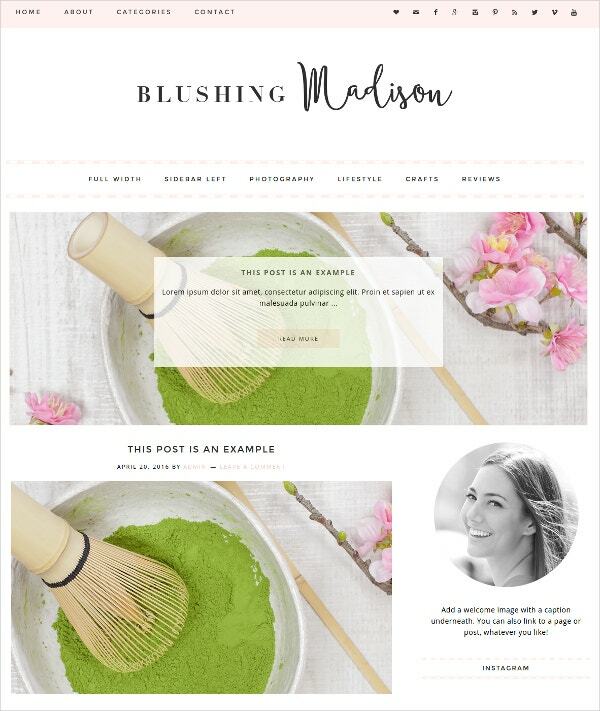 Blushing Madison is a simple, soft pink and white child theme for WordPress, built on the Genesis Framework. It is ideal for blogs in areas like craft, scrapbooking, baking, fashion and other creative food or design websites. Features include blog header files, plugins like homepage slider, share icons, responsive layout, Instagram slider, and options for full-width page and right or left sidebar. It is built using HTML5. 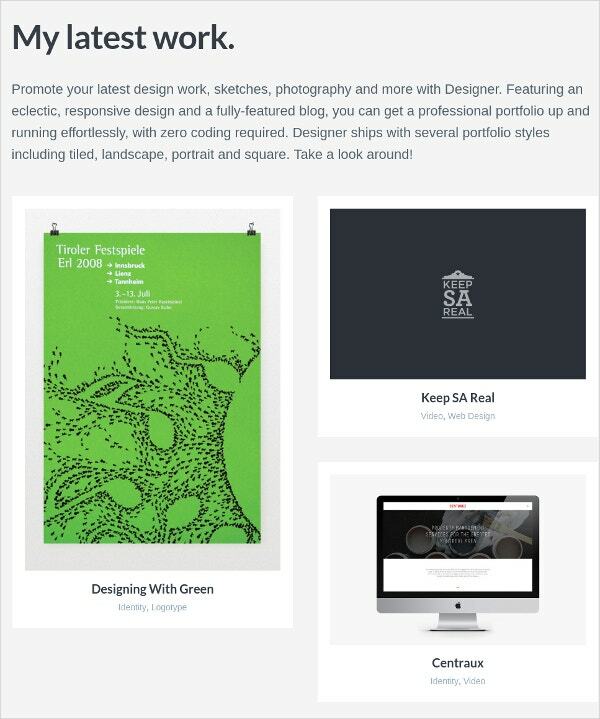 Design Agency Pro is a creative white WordPress theme that design agencies can use for showcasing and even selling. It is a minimal theme offering plenty of space between items for easy viewing. Features include qTranslate X for multilingual support, WooCommerce support, shortcodes, Nextgen gallery, over 580 Font Awesome icons, default contact form plus CF7 compatibility, etc. 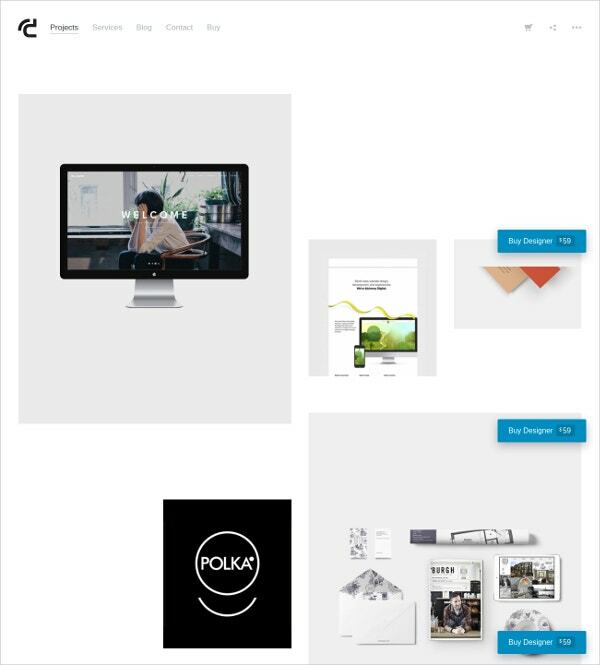 The Designer is a minimalistic and elegant theme built on the Advanced Bean Framework 2.0+, that can be used for corporate websites and creative portfolios. It includes a Live Customizer, custom parallax animation on every post, WooCommerce support, custom typography, JetPack tiled galleries, lazy loading, ready-to-use child theme, custom CSS, retina-ready (HiDPI), custom branding options and more. The Cherry Framework-based Model Agency template is designed keeping model agencies in mind. It is fully responsive, fully editable, WPML ready, offers custom post types and formats, over 80 shortcodes, Bootstrap, SEO, admin panel and 2-column layouts. It is a wide 2300px theme and comes with multiple page templates, modern slider, accordion and carousel galleries, and more. 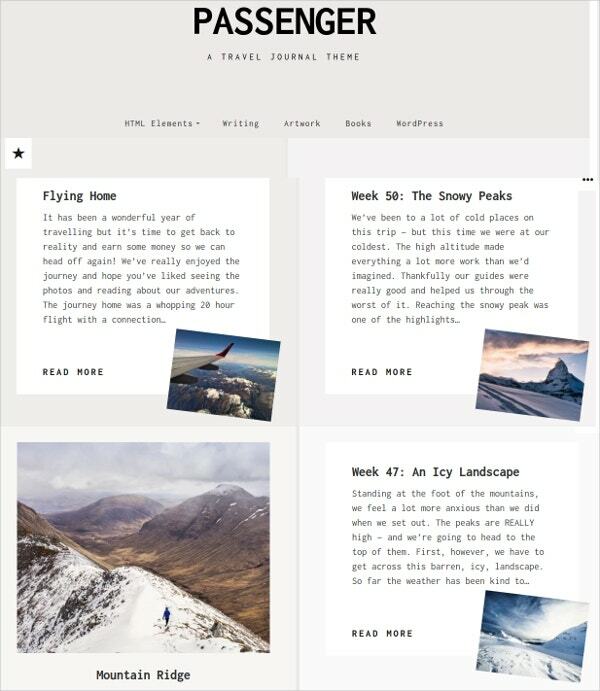 Designer by Array Themes is a unique, responsive and easily customizable template for blogs, portfolios, photography, design or audio showcases and more. It comes with multiple portfolio styles including square, tiled and portrait, a minimal design, slide-out sidebar for distraction-free browsing, beautiful crisp, bold typography, color pickers, custom CSS box, a handy dashboard and other features. 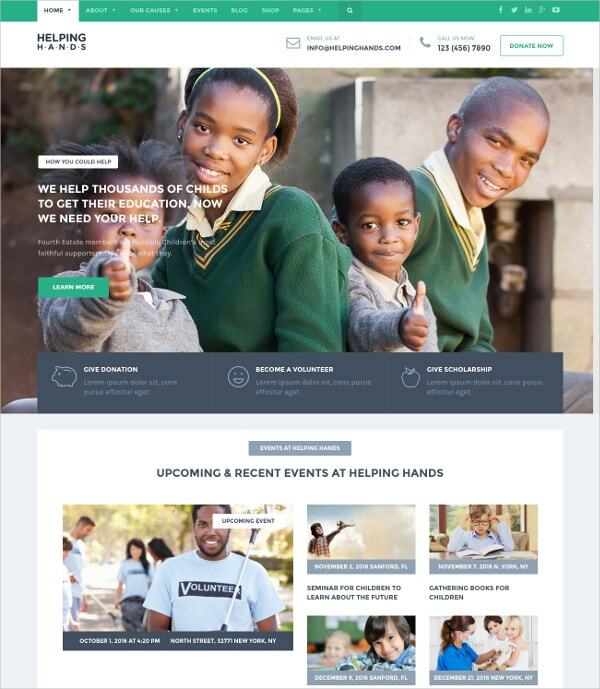 The HelpingHands theme is custom-built for charity, fundraising and donations websites. It includes responsive layouts, homepage sliders, animated icons, individual post sliders, newsletter sign-up, social sharing, multiple pages including About, Events, Blog, Shop etc. The Visual Composer plugin lets you drag and drop elements. A demo installation is one-click, and you can create single and multiple donation campaigns. The Passenger is a beautiful minimalistic theme for scrapbooking and travel journals. 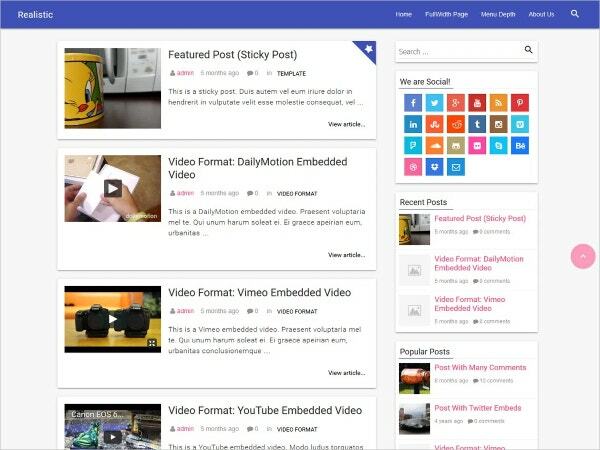 It includes clean typography, responsive design, multiple post formats, custom headers and backgrounds, widgetized areas in the footer and overlay, infinite scroll, social menu, testimonials, portfolio and projects, custom CSS, custom colors, custom Frontpage, Photon image resizing, localization and more. 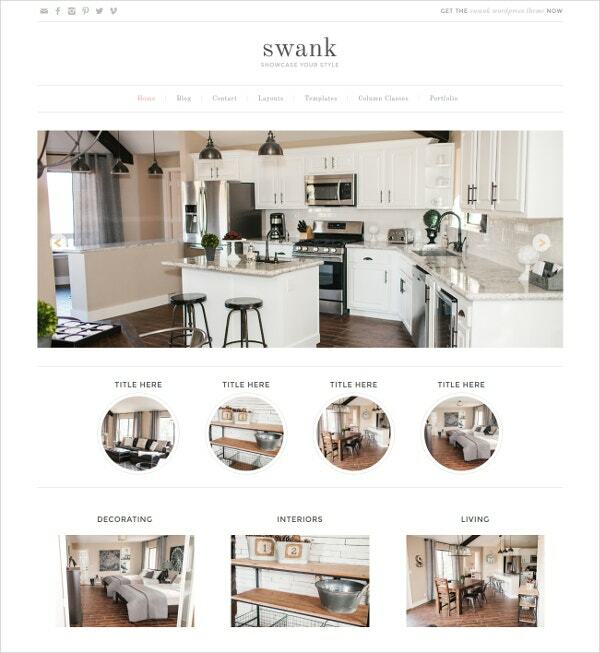 Swank offers a light, airy layout built on Genesis 2.0, that is as functional as it is attractive. Features include custom posts, custom widgetized homepage, retina-ready header, logo support, Portfolio page, centered navigation bar, responsive menus, 6-page layouts, 3-column archive page, customizable color styling and more. It includes complete instructions to make setup easy. 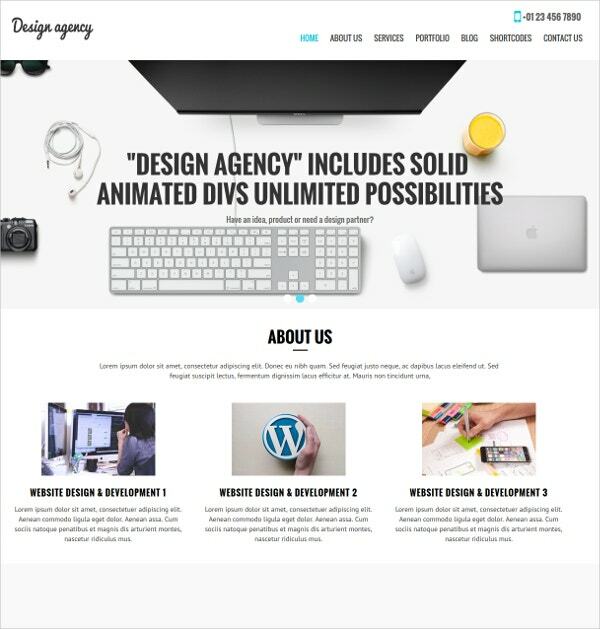 Design is a bold responsive theme built using HTML5 and CSS3. 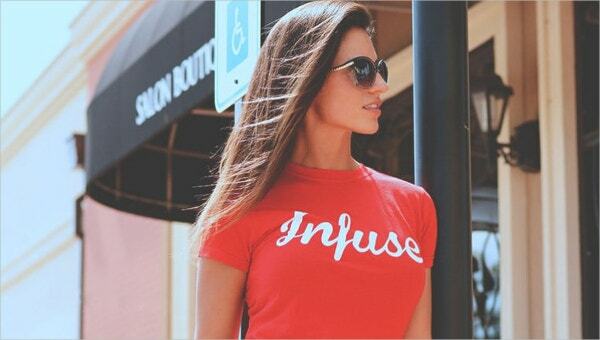 Its professional yet bright color choices make it a good option for businesses that innovate. Features include customizable background, over 100 customization options, full-width page support, widgetized footer and right sidebar, custom menu and header, featured box, customer quotations, sticky posts, 2-column design and more. Realistic is a simple but innovative theme using Underscores combined with the Material Design Light framework, which makes its appearance similar to Google’s website in the smoothness of transitions and fluidity of animations. Features include 6 trendy color schemes, responsive design, custom logo, side menu, favicon, 5 custom widgets, ripple effect, related posts, speed optimizer and more. When choosing a template for your creative website, consider whether you need features like galleries, videos, maps or just a one-page website is sufficient. Also consider the best layout for you, factoring in points like logo placement, header layouts, content width design etc. Look for modern features like responsive and retina-ready design, modern parallax or contemporary flat effects, customer support, ease of setup etc. before you make a final choice. 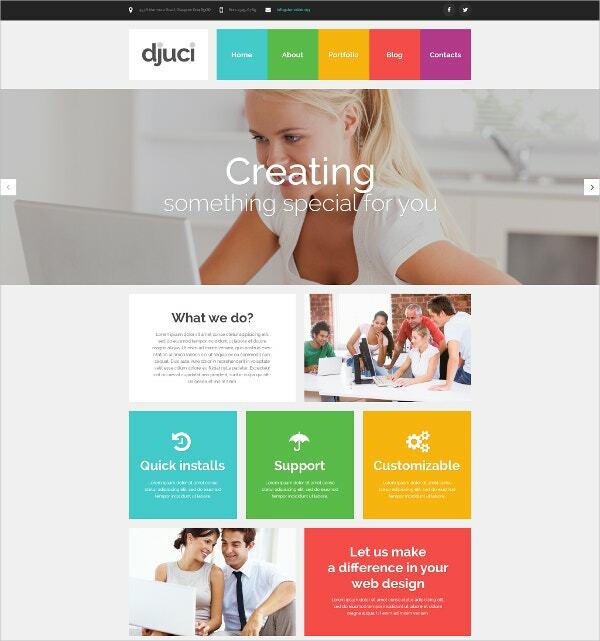 You can also see Best WordPress Templates.